WHY GO: Where the heck is Laurel or Seaford DE?? 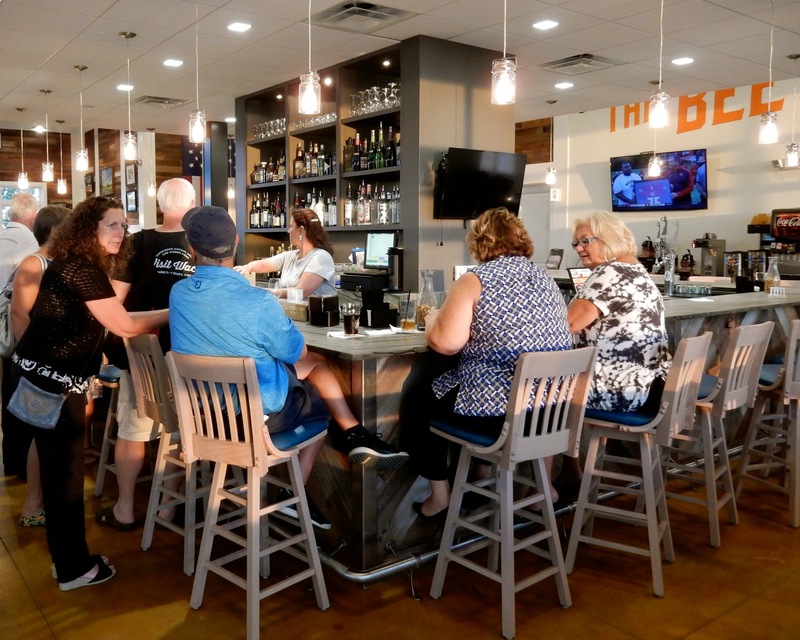 Tourists know about Delaware beaches – Rehoboth, Bethany and Dewey – and the fantastic Cape Henlopen State Park, but there’s a lack of information about the joys of Western Sussex County in Southwestern Delaware, of which there are many. And therein lies its charm. How often can U.S. travelers find virtually unexplored territory right here on the East Coast? Right about now, our fractured country could learn from this section of Delaware, particularly from the little farming community of Georgetown DE. Ever since 1791, this small burg has celebrated “Return Day,” –- the day farmers returned to town from their fields after casting electoral votes two days prior. They’d come back to hear the election results, at which point winners would (and still) do a victory lap around the town’s center circle. The celebration was/is followed by a ceremonial “burying of the hatchet” when contestants on both sides literally bury an ax in a box of sand, in full view of all – reestablishing community ties after sometimes contentious wrangling. This is quite possibly one of the most civilized celebrations I’ve ever heard of. America, take heed. Amazingly, this area of the country has been on the cutting edge of technology since the 1940’s. Seaford, of all places, was home to America’s first Nylon plant, DuPont, which employed 4,000 in the ‘60’s and closed in 2004. “Nylon and Air Conditioning were introduced to the world at the 1939 World’s Fair, in the midst of a huge year that included the hit movies Wizard of Oz and Gone With the Wind, the first Pan Am flight, the completion of Frank Lloyd Wright’s Fallingwater and publication of Grapes of Wrath” says Stan Shedaker, owner of kayaking tour company Adrenalin High. It was a time when access to Japanese silk was decreasing, and so DuPont’s decision to open its first Nylon plant here “opened local people up to possibilities.” It’s an openmindedness that carries through till today. A map of the Chesapeake region looks like a human circulatory system – capillaries and veins of water pooling into ever widening rivers, then out to the Chesapeake Bay and Atlantic Ocean. 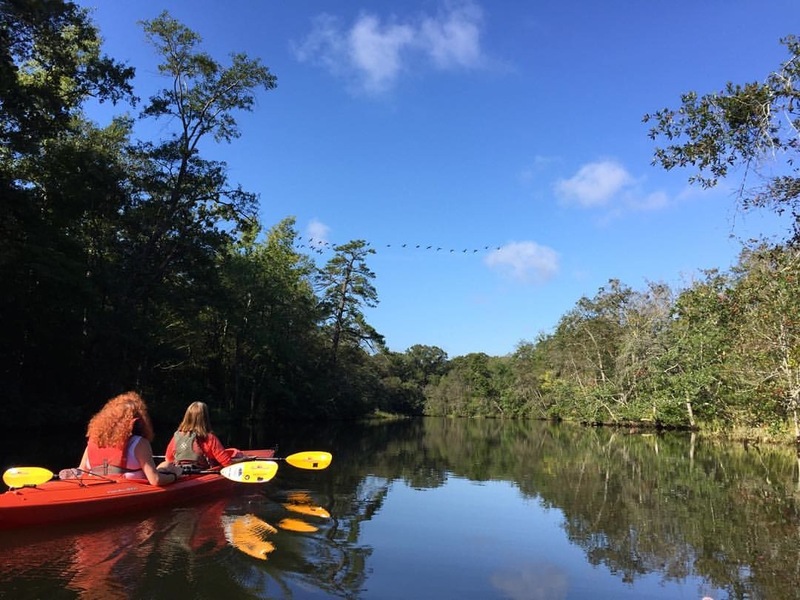 Many of these beguiling creeks and rivers are relatively unknown, making it enticing for recreational kayakers looking for new bucolic waterways to paddle. This middle section of the Delmarva Peninsula was once almost all swampland, until lumber companies in the 1700’s cut down trees and drained the swamps (though that didn’t stop the Swamp Monster from frightening kids through the 70’s and 80’s and whose story is revealed below). One of these drained swamps became a flooded Cypress tree studded State Park, where you can take moonlit boat rides through a Floridaesque landscape, stay in a tent, trailer, or cabin by the water, and hear the scary screechy squawking of an otherwise regal Blue Heron at night. This section of Delaware (Western Sussex County) also encompasses a popular skydiving outfitter, a centuries old cable-ferry built in the 1700’s by a woman who “wasn’t very nice” (to put it mildly), some great golf courses, the most well-groomed bocce court I’ve seen in all my born days, a restaurant that should be World Class, and residents so warm and welcoming, they treat visitors like royalty. Read on. LEARN: Swamp Monster. Every dark forest, lake and swamp seems to have its own iconic monster. This boggy area of Delaware is no different, though in this case, the mystery was solved. Back in 1963, 24-year-old Fred Stevens donned his Aunt Dorothy’s fur coat, a scary mask and frayed pants for a local Halloween Parade. Ever the prankster, Stevens took his character a step further, traipsing around local Burnt Swamp with a camera-carrying friend in tow. One of the photos made the local news, and soon kids were being warned by parents not to go into the swamp alone lest the Swamp Monster get them. (Stevens ended his swamp stomping after overhearing a group of teens say they would shoot the monster when they found it.) Stevens kept his secret for 25 years, and once revealed, this modest gentleman became a local newspaper sensation. 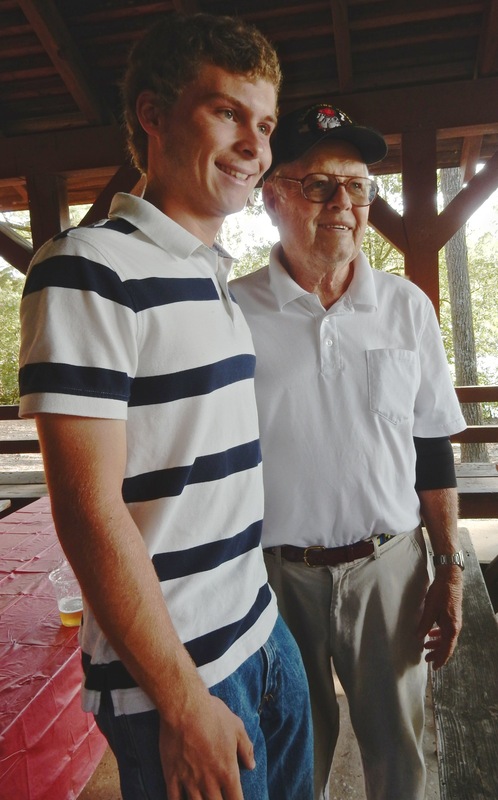 In 2010, Stevens was invited to his “50th Reunion” at Brown University in Rhode Island. He was, according to the elite Ivy League college, Ted Turner’s roommate. The problem was, Stevens never attended that school. To let Brown U. know that he was not a graduate, Stevens sent in a picture of the Swamp Monster, along with some newspaper clippings about himself. Brown responded by including that photo and bio in its one of its publications. Ever since then, Stevens has been receiving Brown’s monthly magazine, even though the college “regrets not being able to find his diploma”. BOAT TOUR: Trap Pond State Park, Laurel. Not for nothing are Delaware State Parks celebrated for their beauty, management and programming, and Trap Pond is among the best of them. 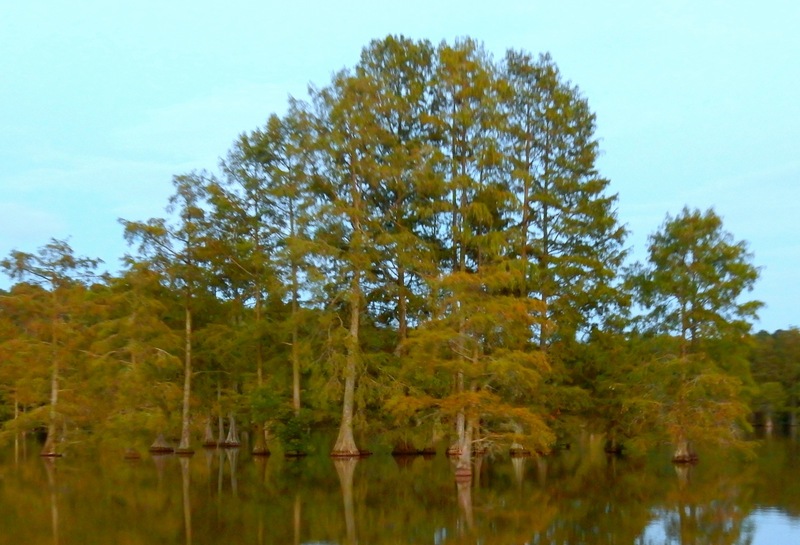 You may feel as if you’re in Florida and not really know why until you jump on a Pontoon Boat Tour (offered throughout the day and even at night, in season), which winds through the northernmost stand of baldcypress trees in the USA. These trees, partially submerged throughout the rainwater-fed pond, form an otherworldly landscape at night, a spookiness amplified by the sounds of winged creatures (heron, owls, other things) that shriek and moan in the dark. 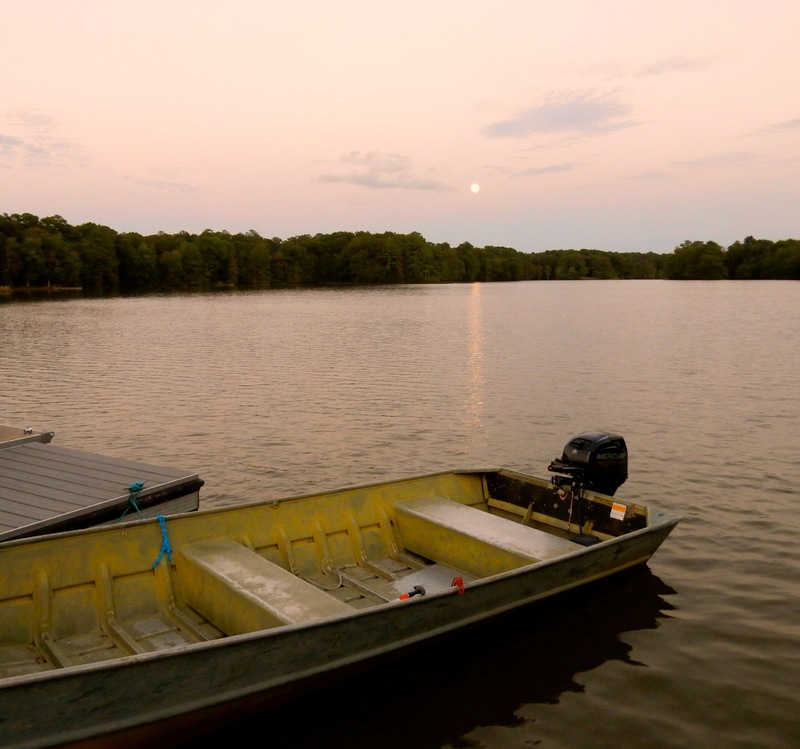 You can also rent pontoon, kayaks and SUP’s here. Tours run April-Nov throughout the day and at sunset. FISH: Trap Pond State Park. Trap Pond has been named one of the Top 100 Bass Lakes” in the country by Bassmasters Magazine. 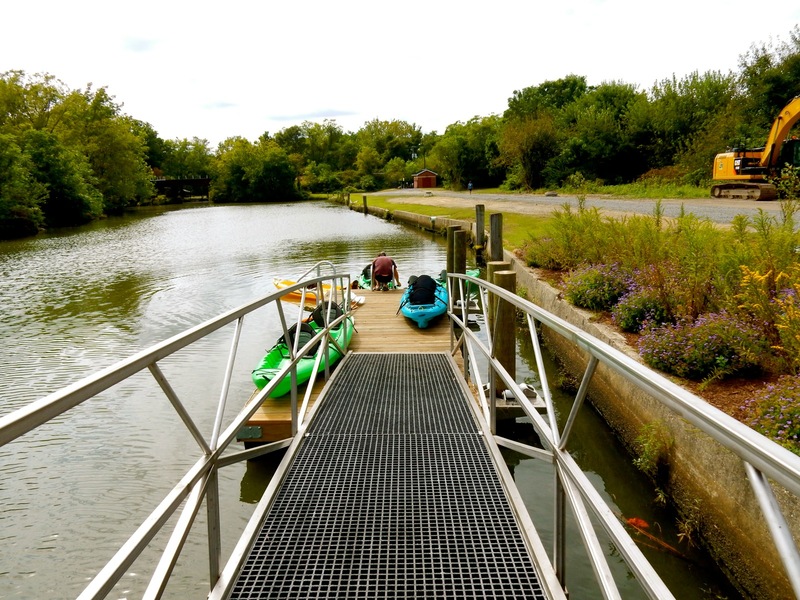 You can rent paddleboats and bring your own small motor boat (the boat launch has plenty of parking spots). STOP: Bethesda Church. 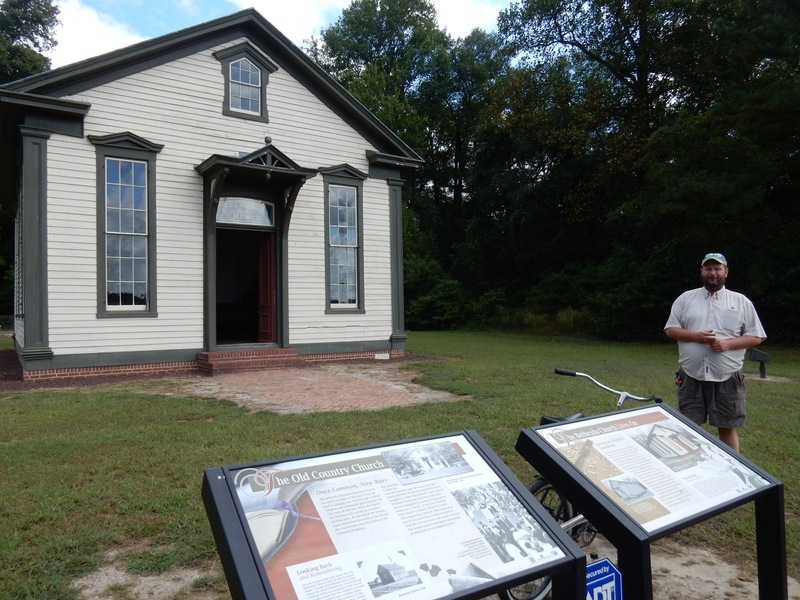 This lovely historic house of worship is still in use today, and seems removed from civilization. 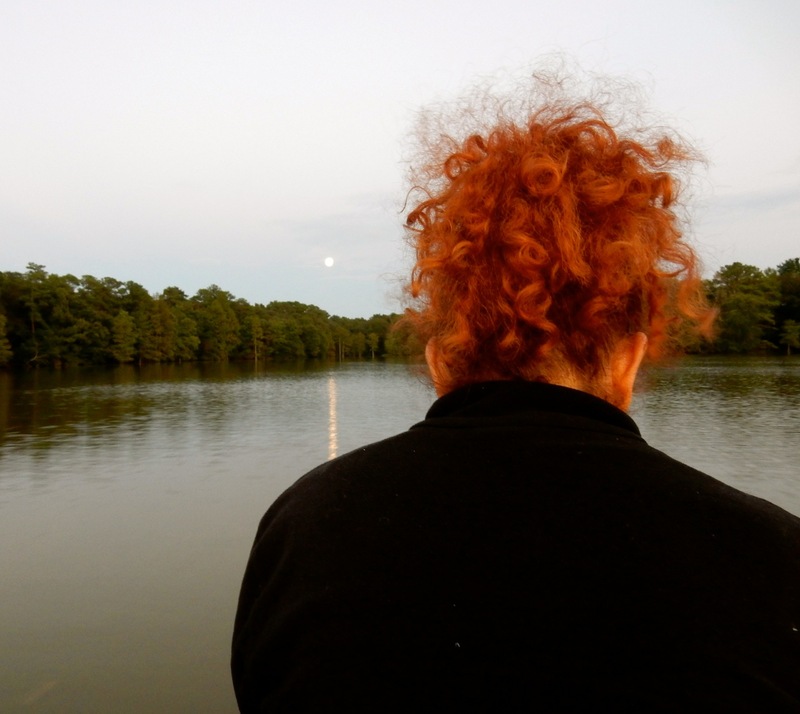 VISIT: Baldcypress Nature Center, Trap Pond SP. 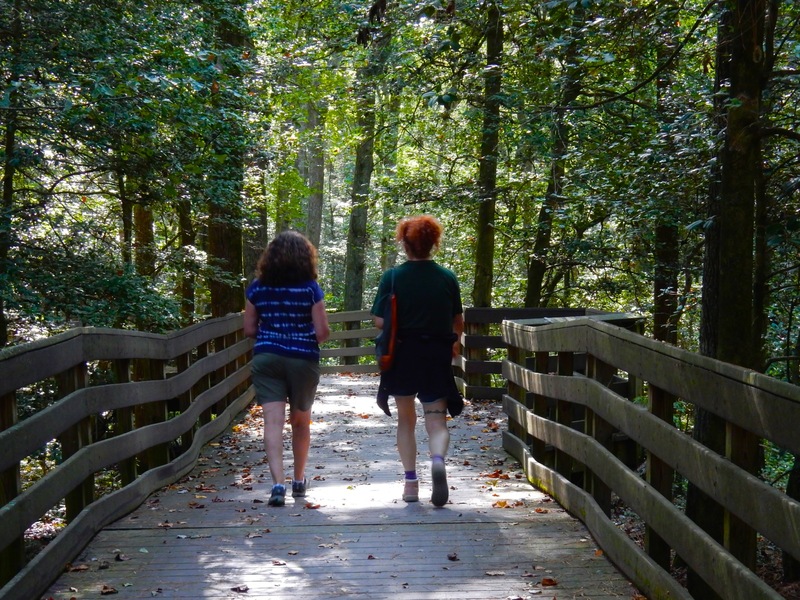 The Bob Trail will take you by a large parking lot and to the updated museum and nature center. Stop inside for information about local wildlife and history. The bite-sized exhibit space is perfect for cooling off when hot outside, and has real modern bathrooms! The Nature Center also hosts great programs throughout the year – so check the State Park website and flyers for information. 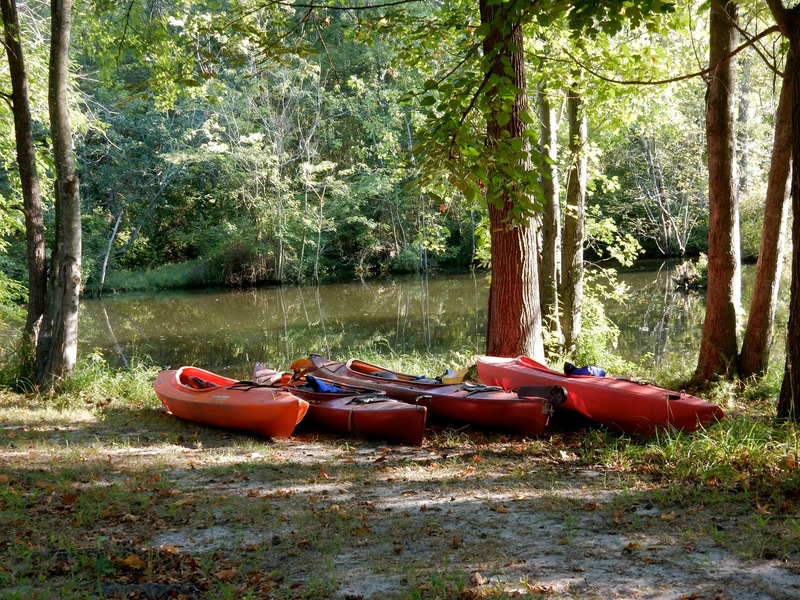 DO: Explore the Nanticoke River and its Tributaries. In 1608, John Smith and his crew rowed and sailed on the Nanticoke River from Chesapeake Bay to what is now Western Sussex, DE at the mouth of Broad Creek. Smith’s 1613 map remains accurate to this day, and in fact, much of the landscape on these rivers and creeks haven’t changed much in 400 years. KAYAK/SUP: Delmarva Board Sports paddle on Broad Creek. DBS will provide kayaks, SUP’s and guides who will lead you through pastoral backcountry, under centuries-old train trestles, though dense bunches of water lilies and by pretty waterfront homes. It’s astounding that even on a hot September weekend, not another soul was on the water. Self-guided rental rates $20/hour, $45 half day. Guided, $30 one hour, $40 two. DBS also runs sunset and evening SUP excursions on the coast. KAYAK: Deep Creek with Adrenalin High Kayak Tours. 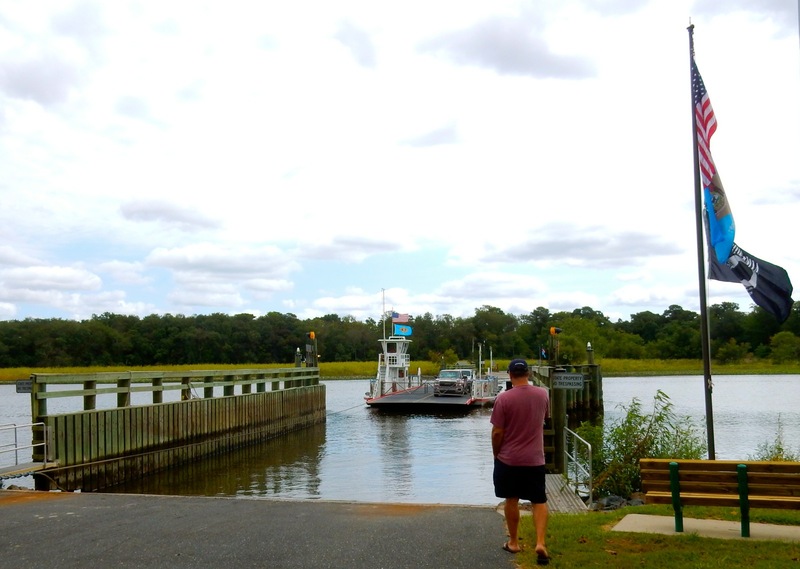 According to Adrenalin High owner, Stan Shedaker, out-of-staters associate Delaware with beaches; “But there are so many waterways to explore.” One of his favorites is Deep Creek in Concord, halfway between Laurel and Seaford. Shedaker is a font of knowledge about this region of DE, especially its multitude of creeks and rivers. “We are two hours from 30 million people, so its only a matter of time before paddlers catch on to the absolute wonder of this place,” Shedaker says. Yet when you come here (for now) you can still feel as if you are the only person on Earth. 2-3 hour guided tours on river and creek waters, $35 per person includes kayaks, paddles, life jackets and instruction. 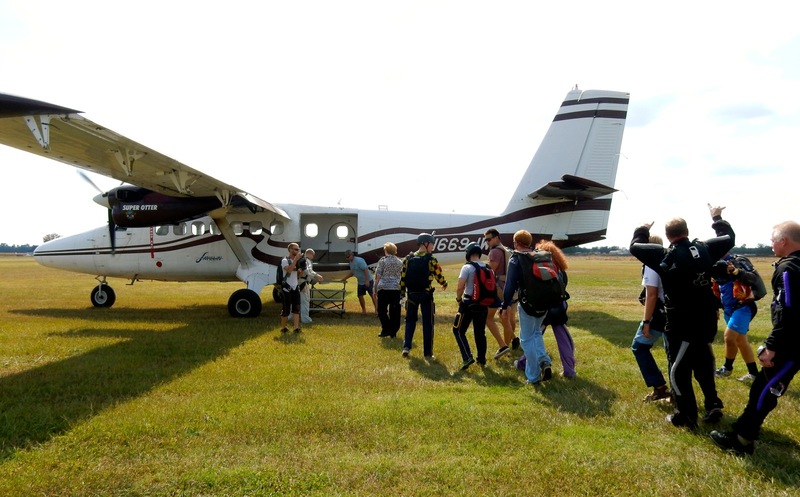 JUMP: Skydive Delmarva at Laurel Airport. Speaking of “adrenalin high,” there’s nothing so exhilarating (and nerve-racking) as jumping out of a plane from 13,500 feet up for the first time, tandem of course. Right Charles and Jill?? 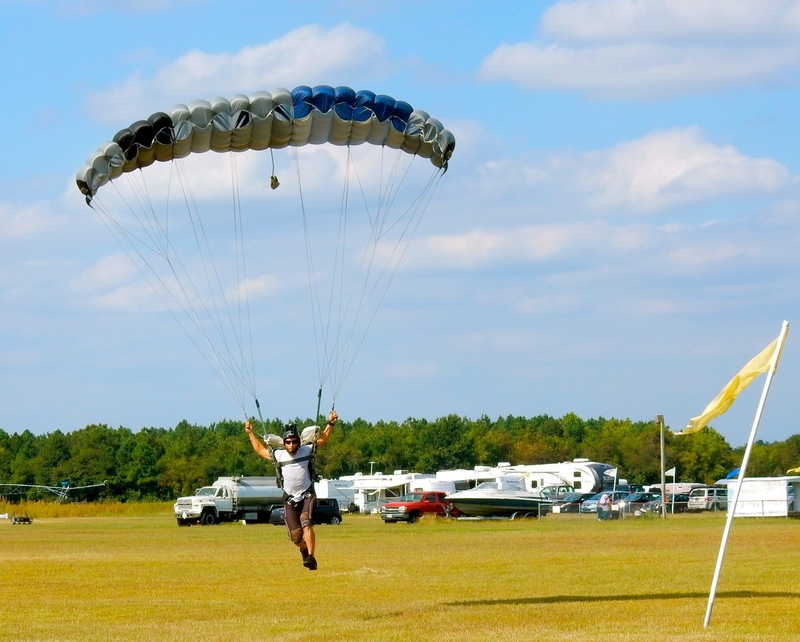 Skydive Delmarva, a US Parachute Assoc. 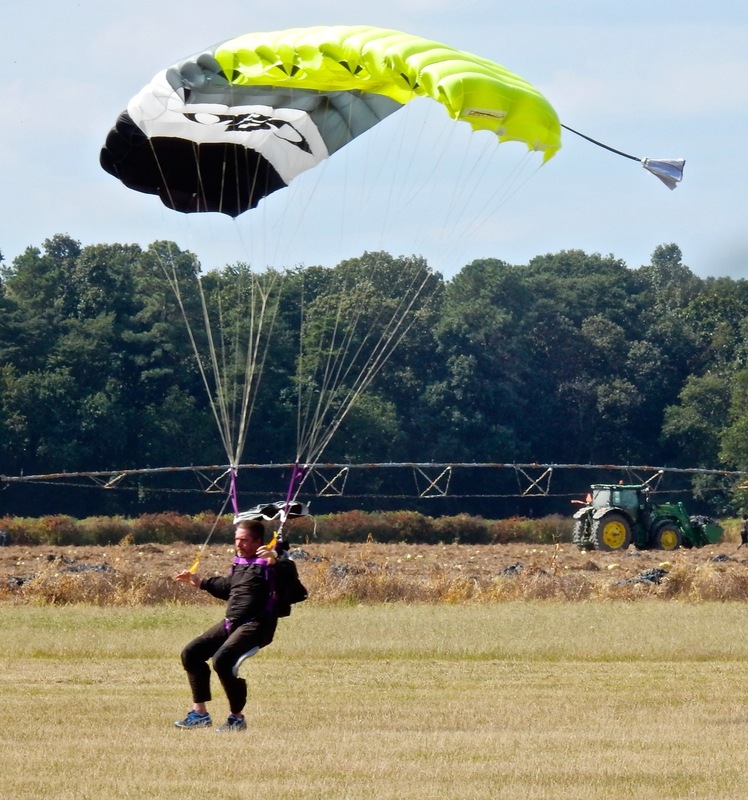 certified drop zone, is owned by spitfire Kathy Kunkowski (who has done “over a thousand” jumps) and her husband, Brian, who believe in safety first. Skydive Delmarva trains Naval Academy paratroopers, has hosted jumpers aged 18 (minimum) to 93, and invites families to come watch. Skydiving season runs from end of March to Dec. $225 for Tandem Jump includes everything you need for first time jumpers. Open Wed-Mon (closed Tues) 8am to sunset. GOLF/BOCCE: Heritage Shores, Bridgeville. Sprouted from former soybean fields, this tony development was first imagined as an exclusive community, but is now open to the public. You can book a tee time here for a relative song. The Arthur Hills designed 18 hole golf course is peppered with 17 ponds, which adds to the challenge and enhances aesthetics. There are so many water hazards in fact, the Golf Shop sells floating balls. If golf is not your thing, try Bocce Ball. 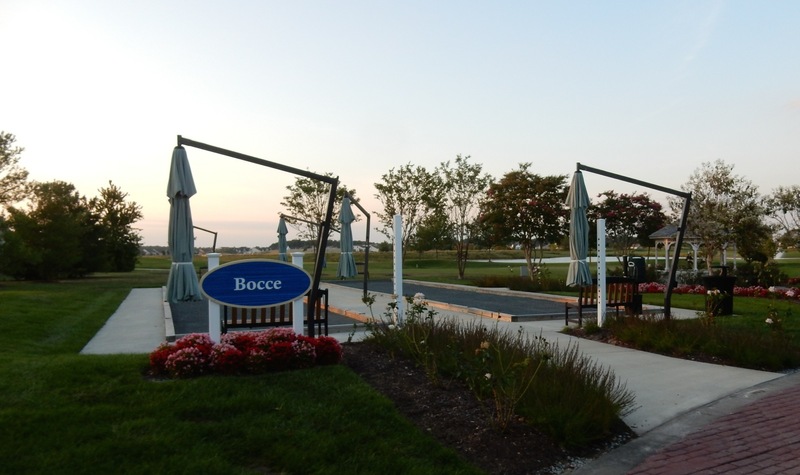 Though small, Heritage Shores has one of the finest Bocce Courts in the land. 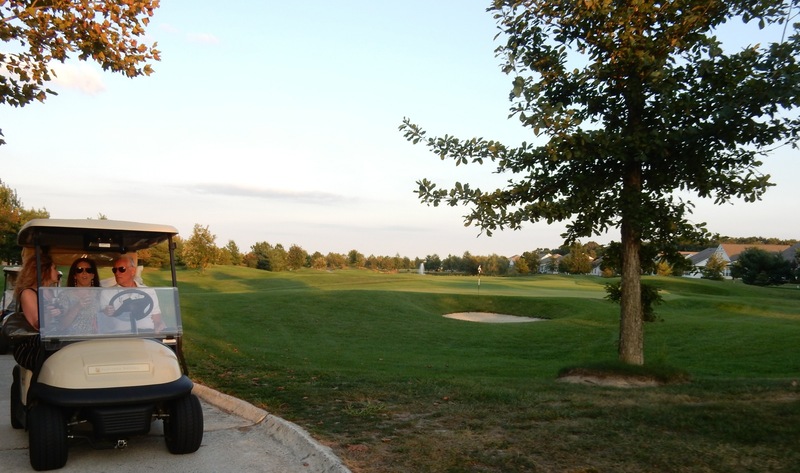 Year round, daily, Spring and Fall, green fees top out at $85 and includes a cart (winter fees $35). Chefs in the area “train each other” and a true culinary scene is “unfolding before our eyes,” says one local. A coastal farming community, “every town has either a Bay or Ocean watershed,” so chefs (and eaters) benefit from nearby farms and fisheries. 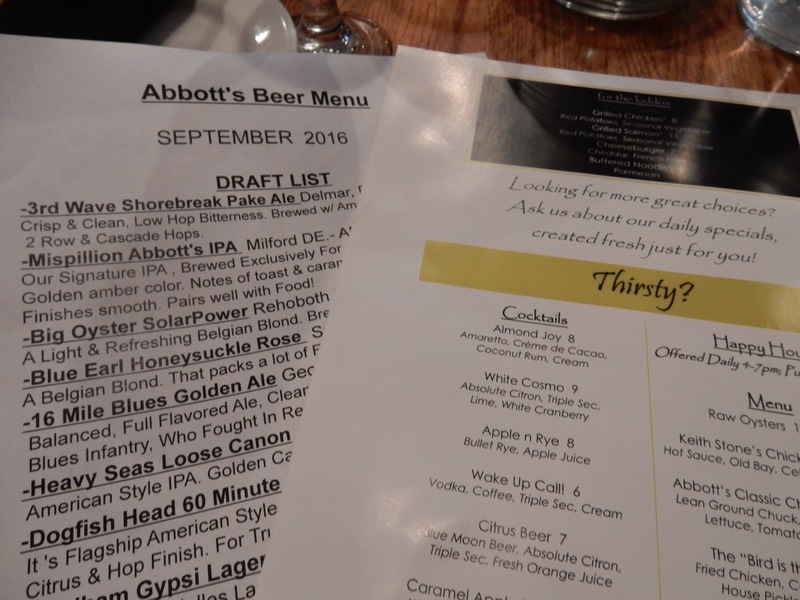 EAT: Abbott’s on Broad Creek, Laurel. The exemplary food here can compete with the best restaurants in America’s big cities. Chef Ryan Cunningham looks like a chill dude, but works magic in his kitchen, turning out delights like Grilled Octopus with Truffle Vinaigrette Tendrils ($14), Mussels and Fries ($14), Apple-Scrapple Flatbread ($10), tweaked comfort food, and just-picked salads. Warm loaves of bread can put a damper on appetites – they are so crunchy-soft-chewy as to be irresistible. Inventive cocktails, like Caramel Apple Pie Sangria or Almond Joy with Amaretto, Crème de Cacao, Coconut Rum and cream are seasonal hits. In a crowd of 20 people, there was not one bad meal among us. EAT/DRINK/PICNIC PROVISON: Sugar Beet Market at Heritage Shores. Come for a drink after a round of golf or bocce ball. You can purchase local cheese, gifts, wine, clothing, olive oil, pastas, and honey – but the main event is the hip bar at its center. Try a local beer or wine, order a snack of prepared salads, and take your meal out to the deck for a singular Delaware sunset. 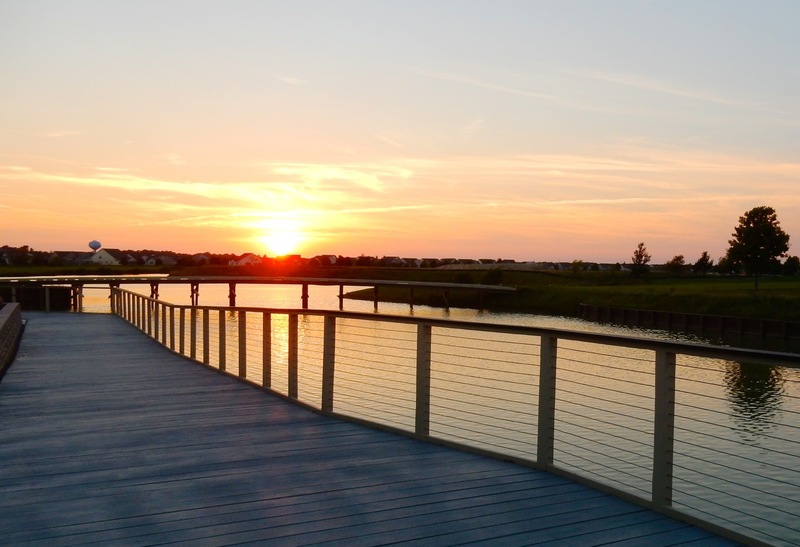 With 800 homes, Heritage Shores is like a tiny village, and bustles with programs to excite residents. So, come to visit and you might stumble on a concert or try a slew of chili for the Chili Cookoff. CATER: My Turn To Cook, Laurel. There’s nothing like an authentic Fish Fry in a comfy picnic pavilion by the waterside at sunset. 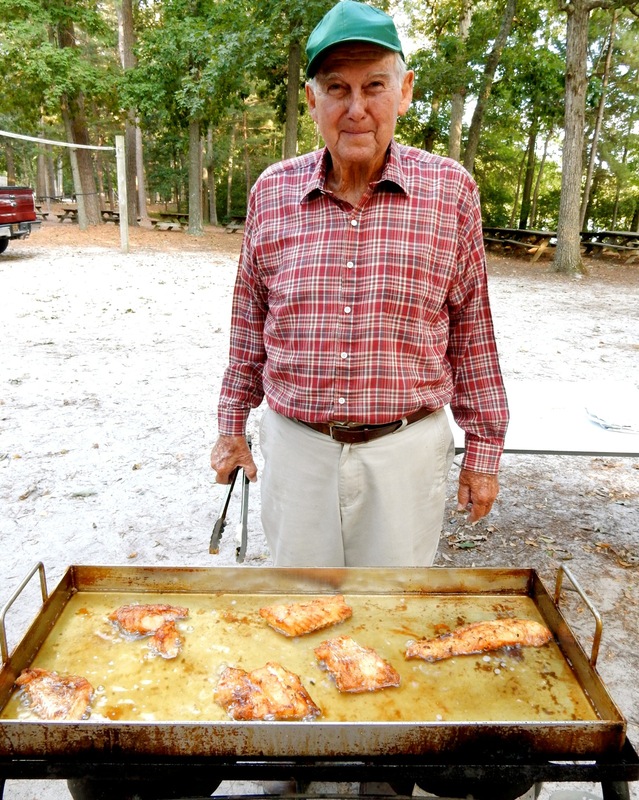 If you’re camping out at Trap Pond State Park, or want to host a party for a group in the area – hire this humble couple to whip up one amazing Fish Fry Dinner. You’ll watch fresh-caught fish turn golden brown before your eyes, and fixin’s include cooked greens and potatoes as well. PICNIC: Phillips Landing, Laurel. You can just imagine John Smith paddling upstream at this dogleg turn of the Nanticoke, it is so pristine and untouched. 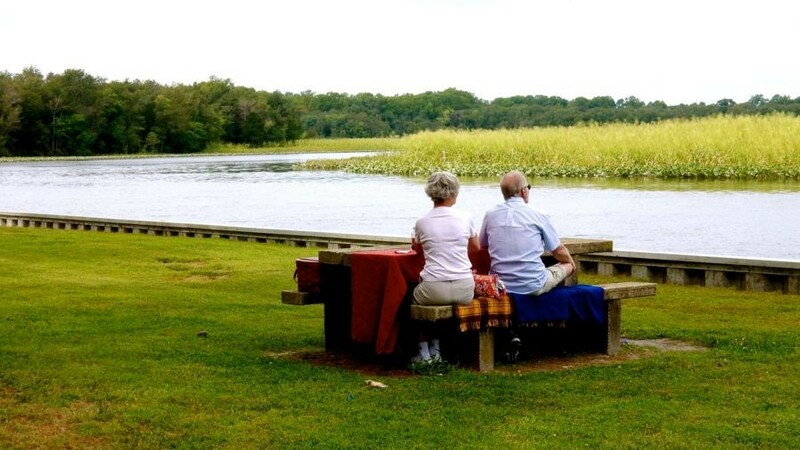 This is one of the most romantic spots for a picnic, so pack some wine, cheese and crackers and leave your cell phone in the car. STAY: Trap Pond SP Campground, Laurel. Rent a rustic cabin for the night – but be sure to bring your own bedding (sheets, blankets, pillows are not provided). Though a fresh-smelling pit toilet is nearby, cabins do not have en suite bathrooms, but they do have electricity, heat and air-conditioning. And fantastic settings right on the water. You’ll want to stay right here if you plan to take a moonlit Pontoon Boat tour or join other evening programs in the park. 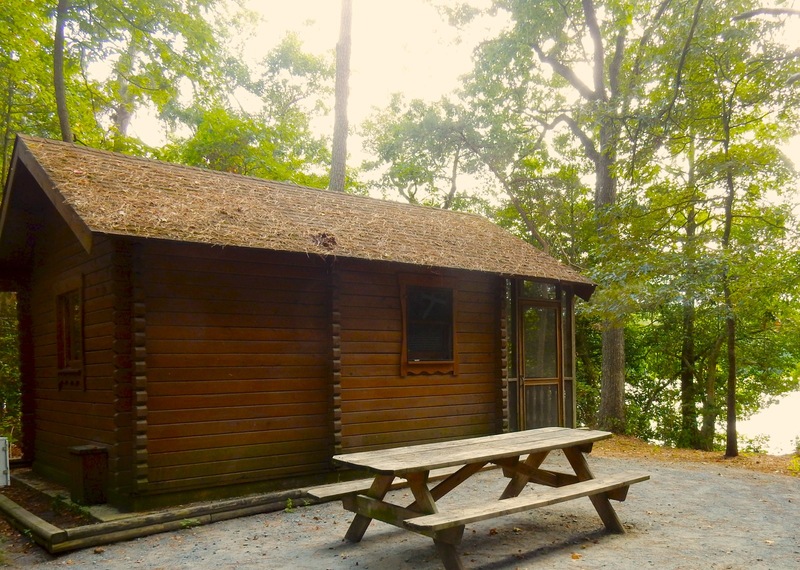 Cabins sleep 4 (full bed and two twin bunks), $55 offseason, $60 per night in season. STAY: Right now, most hotels are franchises, with the highest end – Hampton Inn and Comfort Suites – on the main drag in Seaford. Both are clean and nice with friendly staff, and updated rooms that start at the unheard of rate of $75 per night. Wonderful article! For anyone who wants to paddle the waters of the Nanticoke and Western Sussex County next weekend (Sept. 30 – Oct. 2, 2016), check out http://www.DelmarvaPaddling.com. We’d love to have you!